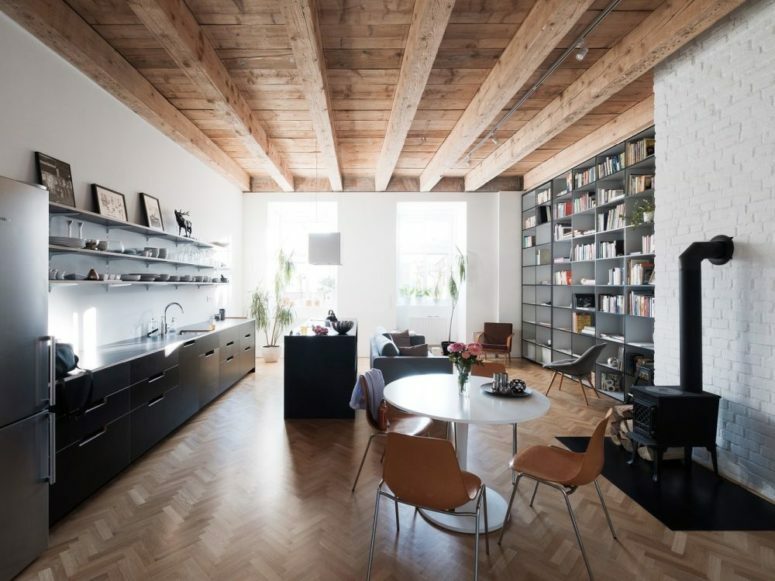 Can you believe that this apartment used to be a monastery? The building is located in Trnava, Slovakia and was originally built in 1719. At one point during the 20th century it was converted into an apartment building. 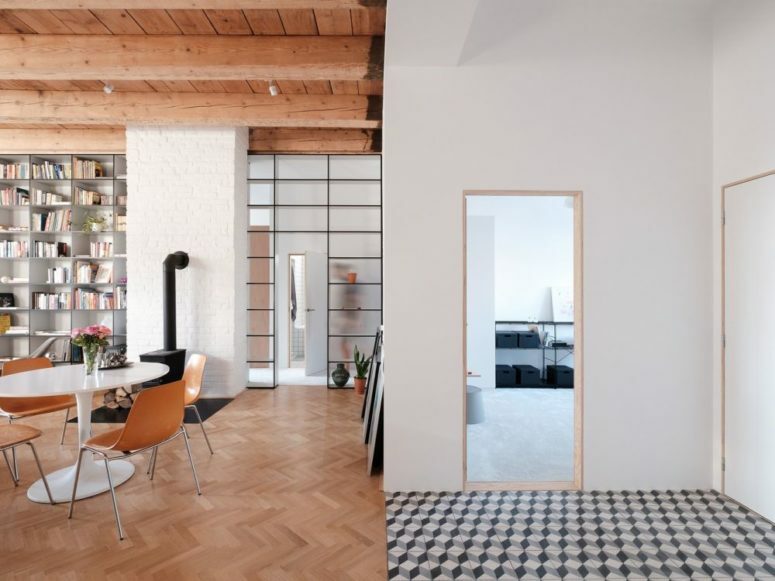 This apartment features 100 square meters with a modern and functional interior. The remodel aimed to uncover some of the building’s original charm and at the same time to give the apartment a fresh, clean and modern appearance. 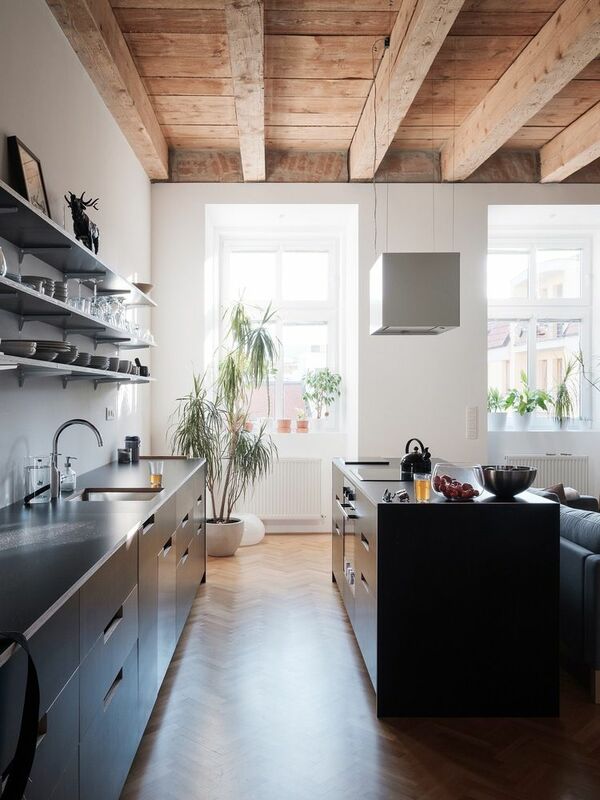 The focus was mainly on the living room which is an open space with 3,6 meter high ceilings. The designers restored the original trusses and made the space look extra cozy thanks to features such as parquet flooring, wall bricks and a rustic-looking fireplace. 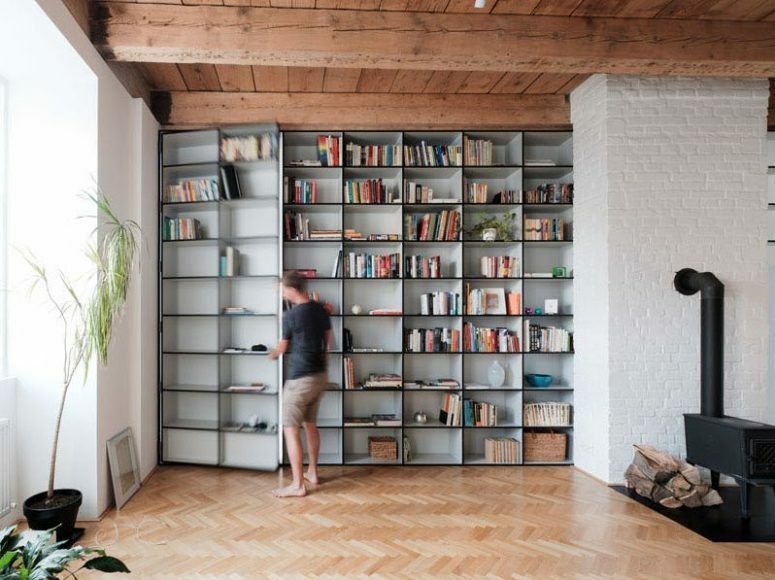 The most interesting feature, however, is the Murphy door hidden within a full-height bookcase. As the secret door opens, you get access to the bedroom. It’s a pretty cool way of dividing the spaces. When open, the Murphy door sits flush with the wall to the left. The bedroom suite is very simple and has a neutral color palette. The kitchen and entrance hall are seamlessly integrated into the main living area. The kitchen features sleek black cabinets and a white vent for a contrasting and bold look. 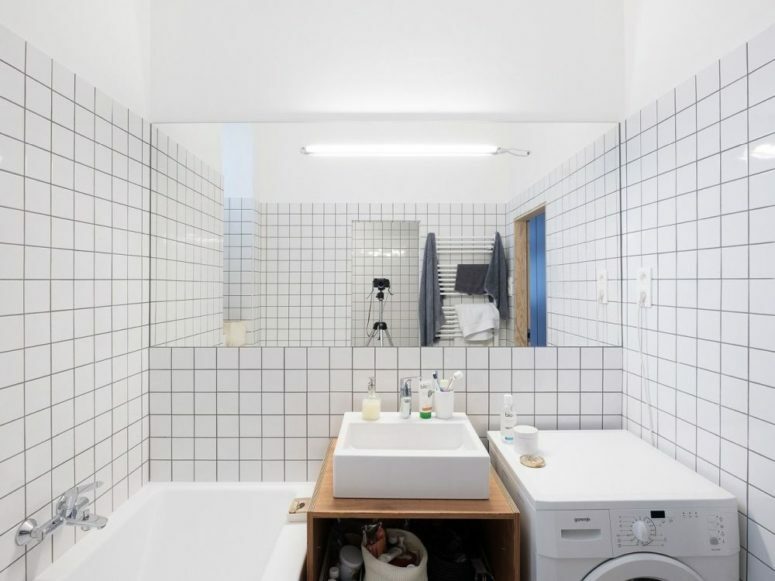 The bathroom is small but has an airy and open look thanks to the white tiles and large mirror. 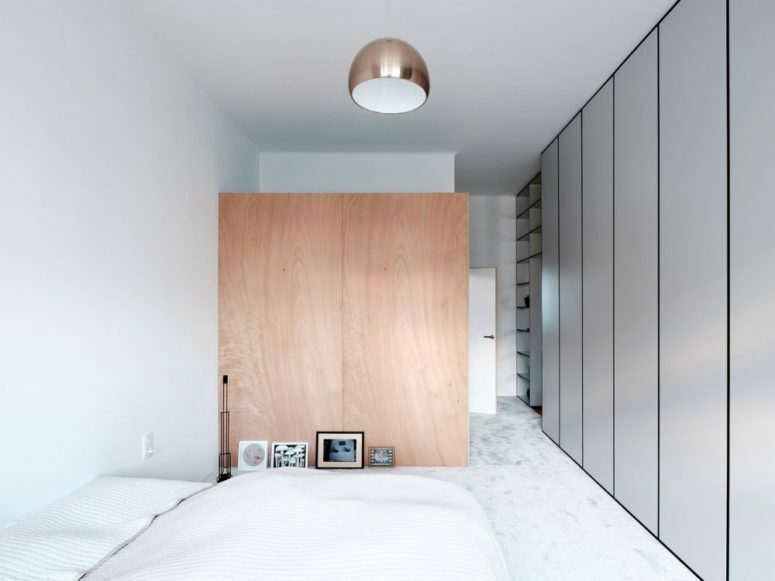 The walls throughout the apartment are kept bare and void of any wall-mounted decorations. 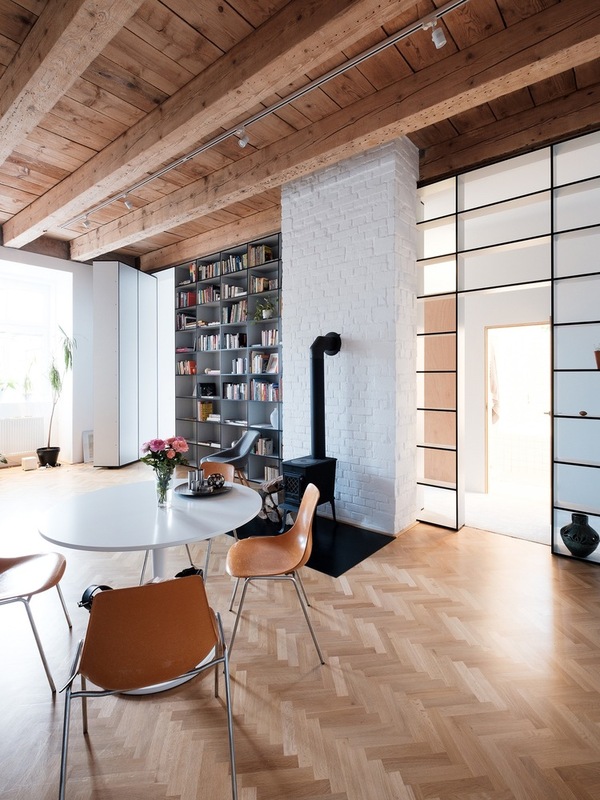 The herringbone parquet flooring is a great fit for the apartment considering its history. 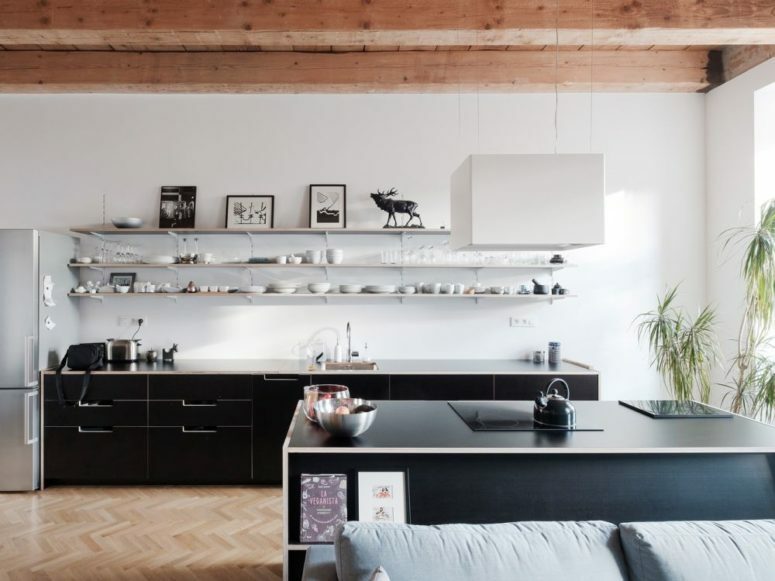 Black furniture and light wood surfaces are complementing the apartment decor. Take a look at this stylish home to get inspired!